A dynamic research library, the library holdings reflect the museum's collection of imperial Russian and 18th-century French decorative arts within a broad social context. The library contains approximately 38,000 items that consist primarily of: monographs, auction catalogs, rare and antiquarian materials, Marjorie Merriweather Post’s book collections, periodicals, and vertical and ephemeral files. The library is also home to a variety of electronic resources and subscribes to the following research databases: Invaluable, Auction.fr, JSTOR, and Oxford Art Online. Additionally, the library contains the personal collections of four prominent scholars: Andrei Avinoff (former Director of the Carnegie Museum of Natural History), Edward Kasinec (served as Chief of the New York Public Library Slavic and Baltic Division), Anthony Cross (historian and scholar of 18th century Slavic Studies, Cambridge, England), and Anne Odom (former Curator Emerita, Hillwood). The vertical files of the library at Hillwood Estate, Museum & Gardens are a particularly rich resource. There are ephemeral materials here on art, artists, art institutions, collectors, and special subjects. The files are arranged by artist, geographical area, and subject. These collections are especially valuable for magazine and newspaper articles, exhibition brochures, and translations having to do with Russian art, artists, and museums. The artists’ names included in the vertical files have been added to the online catalog and may be searched above. Please note that this is a non-circulating collection and must be used on site. Photocopies may be made upon request. Researchers are invited to use the library Tuesday-Friday, 10 a.m. to 5 p.m. While walk-ins are accepted, please consider making an appointment to guarantee access to the library. The public may use materials in the library. Selected materials are loaned on a case-by-case basis through the interlibrary loan system available in public, special, and academic libraries. The library abides by the interlibrary loan guidelines of the American Library Association. 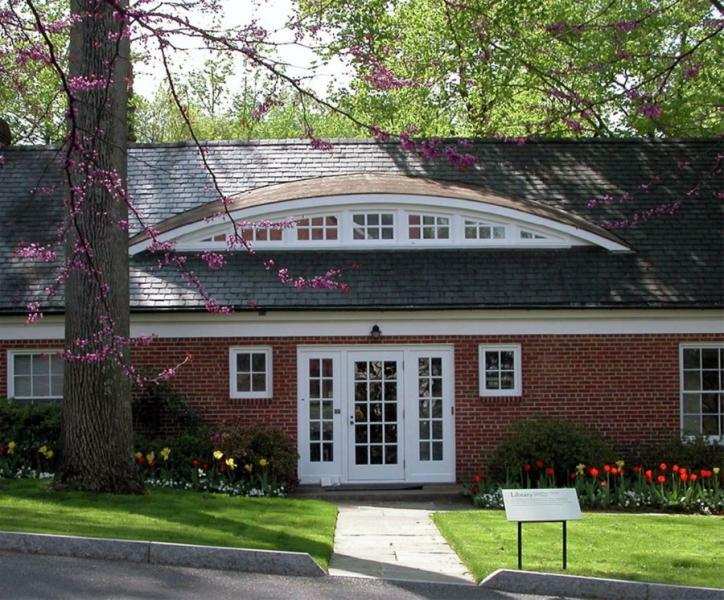 Direct email inquiries can be made to astambach@hillwoodmuseum.org or call 202.243.3953 for more information about the library or to make an appointment.